Discussion in 'Work in Progress' started by Fanatrick, Sep 5, 2018. 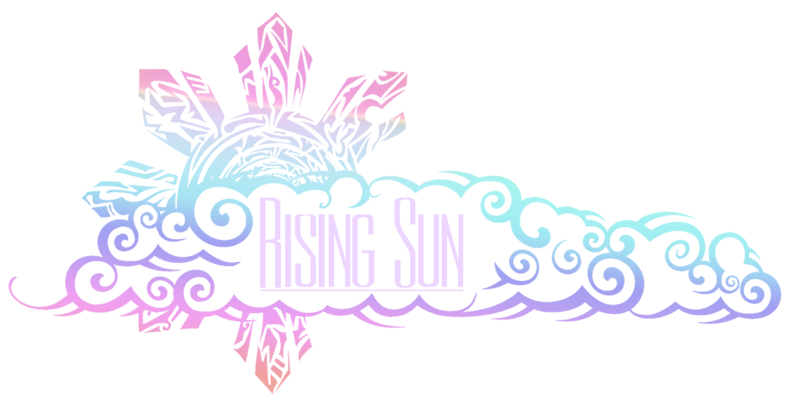 Description: Rising Sun Academy is a samurai/ronin themed 2D Action-RPG, focusing on role-playing and intense combat mechanics. 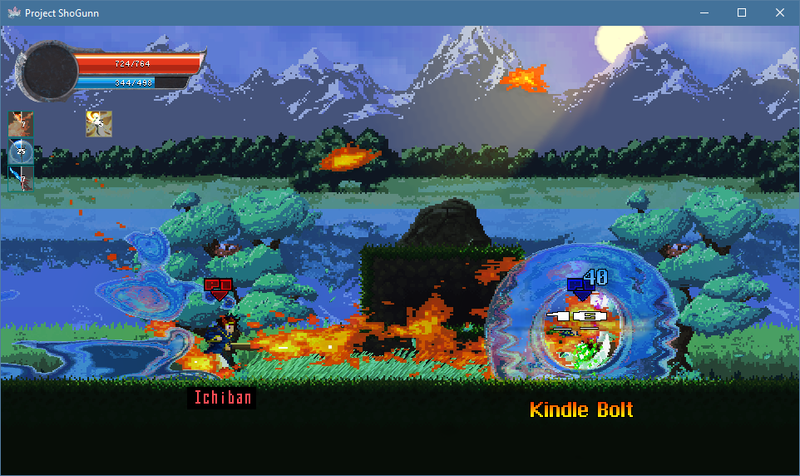 Unique ability system and precise controls enrich the action, while the vibrant art style blends the eras of video-game graphics - both old (pixel art) and new (shaders) - into a fast-paced, colorful samurai deathmatch. Synopsis: Join an academy of fighters in a world threatened by a portent of cosmic calamities, in order to challenge the heavens for the survival of human kind. There are 2 resource stats, Health Power and Magic Power. Traditionally, when a character's HP reaches 0 the character faints. MP is used to cast magic and use abilities. There are 6 magic stats (masteries), Fire, Water, Current, Earth, Dark and Light. Increasing these allows you to cast increasingly powerful abilities. Some abilities require a combination of multiple types of magic. Countering leaves the enemy in a dazed state, giving you an opportunity to strike back. Some abilities have counter mechanics, the timing is crucial because missing a counter leaves you open for a short while. Siavellez, atmobeat, The Sorcerer and 12 others like this. atmobeat, The Sorcerer, Gamerev147 and 3 others like this. I'm amazed at the animations. Great artwork and pretty weird. The way shaders are joined with pixel art feels a bit weird for me. Surely it is made in a way to be unique! I feel the combat too much fast for me, but it's a matter of preference. As a curiosity. Is this made entirely by one man or a team? Thank you for your feedback! Some of the effects like smoke fluids need to be toned down a lot, hopefully that makes things less messy. The combat in the gifs is my own over-tuned character, it can get pretty fast but the plan is to ease the player into it and slowly train him with the academy challenges for the climax. The combat at the start of the game is much slower. Dude the fact that you did this all yourself is inspiring. Your game looks sick. The combat looks great and love the rpg elements. I'm making a similar game actually, but yours has way more polish. This looks incredible. So many amazing effects. How long have you been working on it may I ask, and how well optimized is it, I mean does it need a newer PC to run smoothly? Around year and a half with the iteration in question. The engine and all the necessary systems I've been fiddling with for quite a while, hard to say but my best guess would be the last 3 years of college. It's been carefree so far, with a few all-nighters every now and then while juggling work and freelancing, so not a high amount of pure man-hours. As for optimization, different versions of the game been tested on around 6 or 7 machines running it smoothly so far. I'm aware this means absolutely nothing though, as both the versions and the specs have changed as time went on. I've started the project on a medium-end laptop that I got back in 2014. While it's still running smoothly on that poor thing there's still a lot of room for potential improvements. Graphics quality options also exist. but so far never had to downgrade any of the map sizes or anything in order to gain performance. I'm very happy with how the lighting engine performs. Geoff Jones, IndianaBones and Felipe Rybakovas like this. man, this is really sick... You´re doing this on 1.4? and all alone even the art? Yes, this has been done entirely in GM:Studio 1.4 and glsl. I'm also doing the art completely alone, although I'm looking for help in that department since a real artist could come up with much better stuff in far less time than I ever could. Wow! The effects you've achieved here are inspiring. I'm assuming most of the funky stuff is done with shaders? The water is some of the best I've seen in GM. Congrats mate, would love to see where this project goes. So pretty. So impressive. I can't wait to try it out. Very nice. A lot of the combat shot are a one on one deal. Is that PVP or just NPC's in the story? The units in the gifs are NPC characters, although PVP also exists. the waterfall just let me speechless. Let me know what you think, most of the abilities have different parameters, I'll do my best to explain each of them if need be. Felipe Rybakovas and curato like this. Looks cool. I'd buy if it had local play or online that did not lag like Smash Wii U. Local play as in couch multi-player is supported. There's also already a fair bit of peer-to-peer networking, but it's not a primary focus at the moment. Some electric abilities I'd like to share. Each of these puts a stack of [static] debuff on the target. These stacks are to be manipulated with other abilities in advantageous ways like nuking someone who's really stacked, transfering stacks between units, consuming your own static stacks for stat buffs, etc. The most basic one, gives your next slash [stun] and [unblockable] properties. Heavencrack is a fast nuke that can only be cast when there's a unit (friend, foe or self) having at least 10 stacks of [static] . It targets the person with most stacks, if it's a tie - the unit that's the highest on the map will get struck. Heavencrack expends 10 stacks of [static] on the first foe it hits, but can also hit multiple times. After the first hit, the damage is halved until hitting the minimum of 10% of the first hit's damage. It also expends 5 stacks instead of 10. This persists until there are no units with 5 or more [static] stacks or the caster gets interrupted. Felipe Rybakovas and sylvain_l like this. Woooow, extremely impressive. Not just the visuals but the obvious thought that has gone into the combat system. I think if as much attention is paid to the story and plot as has been the visuals and mechanics, you'll have something really special on your hands. Wow the tech looks unbelievable! Looks really great so far as well! How did you do the waterfalls? Is that a texture? shader? if so...how? what? Yes, it's a shader that samples 2 cuts of a waterfall texture with 2 channels. That's used as a mask for a sampler2D of application_surface texture that gets distorted by the result of 2 channels in the mask. I'd like to follow up with few dark spells I've been tuning lately. Mainly ones in regards to shadow clone summoning. Shadow clones are a big part of dark caster archetype, they are basically 1HP units you can interact with in combat. They are very useful as a distraction tool, but can also be utilized effectively in comboes. The user can manipulate these clones in many ways like swapping their positions, increasing their duration or granting them abilities. Usually these abilities also cost HP, while leaving the healable portion intact. Shadow clone summoning abilities share their cooldown. Considering shadow clone abilities also cost HP, it's a good idea to have healing abilities. Dark Harvest is an advanced dark ability that sacrifices your clones, resets your shadow clone cooldown and also heals you scaling by the number of clones sacrificed. As long as you hold a [book] type item in the offhand slot that gives you at least +2 to Dark mastery, your character can cast Necromancy. Necromancy is a long cooldown spell that resets your shadow clone cooldown every time you don't have a friendly shadow clone on the map for the next 20 seconds. Basically it allows you to constantly combo your clone summoning abilities as long as your MP suffices. Showcasing the dialogue thing. 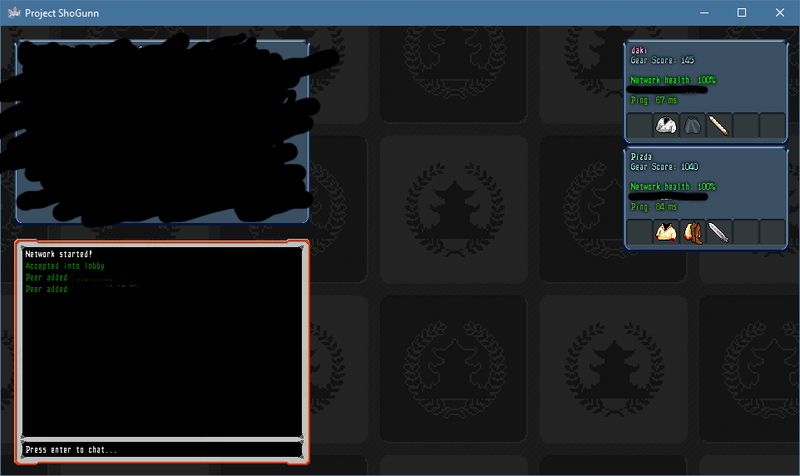 I've also been finalizing the cutscene system which allows me to script in-game events really quickly. These affect everything from shopkeepers to story cutscenes, dialogue and even a big portion of other misc. content like cooking etc. This game looks really beautiful and this is coming from someone who isn't generally a fan of games with this sort of look to it. Only concern I have is whether the game will remain stable with all the effects you've got going on at once. Thanks for the feedback. I'm keeping an eye on performance as I'm adding stuff in, if an effect or an algorithm performs badly I generally end up shelving it for future reference or improve on it until it performs well. Older iterations of liquid and smoke shaders don't even compare to what I currently have. I'm very happy with how it currently performs. That being said, I still am figuring out ways to further improve the system, mainly in terms of eliminating redundant texture swapping. As of now there are around 20 different equipment pieces that all rely on a spritesheet inside a texture page. Two different equipment pieces, let's say head and body gear, generally end up on two different texture pages which means every time they do a texture swap is prompted. One way I'm currently handling this issue is by caching a premade texture that has all the necessary equipment stitched inside. I save it to the application folder and codename it depending on everything inside. When a character unit gets created, the game will try to see if the file matching its equipment exists, loading it if true or creating a new one if false. It works in practice, as I only have to sample uvs from that single texture and texture creation can mostly be done before the unit even needs it or before any of the action happens. One issue this brings is the fact that the cache folder will become relatively big as the player progresses through the game, due to the sheer amount of possible equipment combinations (single 1024x1024 png is around 150-300kb). I'll likely just end up adding "Clear cache" in the options to remedy this. Worked on both combat and rpg mechanics these past few weeks. I'd like to highlight the new wall-bounce mechanic. Stats are always at play and this interaction is hard to abuse, mostly it's just a combo extension that occurs every now and then if the enemy frontally collides with the terrain at high speed (limbs can effectively amortize the impact velocity). It doesn't just interact with walls, as it can also knock other units it comes in contact with in a chain reaction manner. This adds an another layer of complexity in combat, especially since the player has to be ready to execute if the opponent gets bound by a wall-bounce. CameronScottCreations and Siolfor the Jackal like this. Bit of a follow-up. Flying bodies can hit other units in their path, starting a possible chain reaction. Very nice. May I ask what do you do for a living? These can't possibly be made by some random game dev hobbyist in his spare time alone.. I've been an indie game developer for quite some time now. There's always more to learn which keeps me going, but unfortunately I can't provide anything but spare time to this project at the moment. I do tend to go an extra mile every couple of nights or so and the development has been consistent so far. In hindsight, I do spend most of my spare time working on this project. Damn man! This looks awesome! I've enjoyed online multiplayer games ever since I started exploring the web. Seeing the project flourish in that regard, I can't help but reminisce of my old time favorites like "Little Fighter II", "Soldat" and "Lemmingball Z" to name just a few. Overall, this is a huge step forward for the project. Gravedust and Siolfor the Jackal like this.